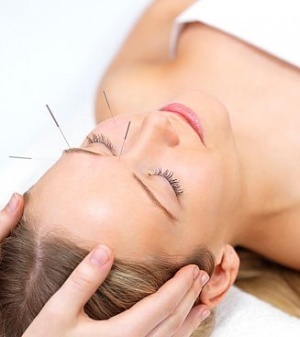 The safe use of acupuncture is promoted by following contraindications for it's application. The Acupuncture Association of Chartered Physiotherapists (AACP) suggests that with regard to acupuncture contraindications should be thought of in two groups; 'absolute contraindications', where the use of acupuncture is forbidden and 'relative contraindications' where acupuncture can be used with careful consideration of the risk factors. The World Health Organisation Guidelines on Basic Training and Safety in Acupuncture  state that, "it is difficult to stipulate absolute contraindications for this form of therapy" However, they suggest that for reasons of safety, it should be avoided in pregnancy, medical and surgical emergencies, malignant tumours and bleeding disorders. The full World Health Organisation guideline can be viewed here. The Acupuncture Association of Chartered Physiotherapists provides guidelines on contraindications aimed specifically at physiotherapists practicing acupuncture. The use of points LI 4; SP 6; UB 60, 67 and sacral foraminal points B 31, 32, 33, 34 during pregnancy. The use of acupuncture with patient who have uncontrolled movements. Areas of spinal instability where as the result relaxation of the surrounding muscles could potentially give rise to spinal cord compression. The needling of scars, keloid, recent incisional wounds or skin with sensory deficit. The needling of intracapusular points if the patient is on anticoagulant therapy or is a haemophiliac.